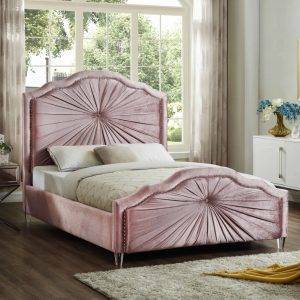 Transform your bedroom into a dream haven with the breathtaking Jolie pink velvet queen bed. 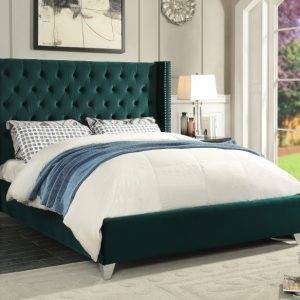 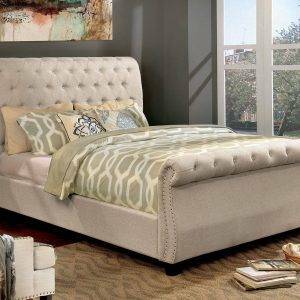 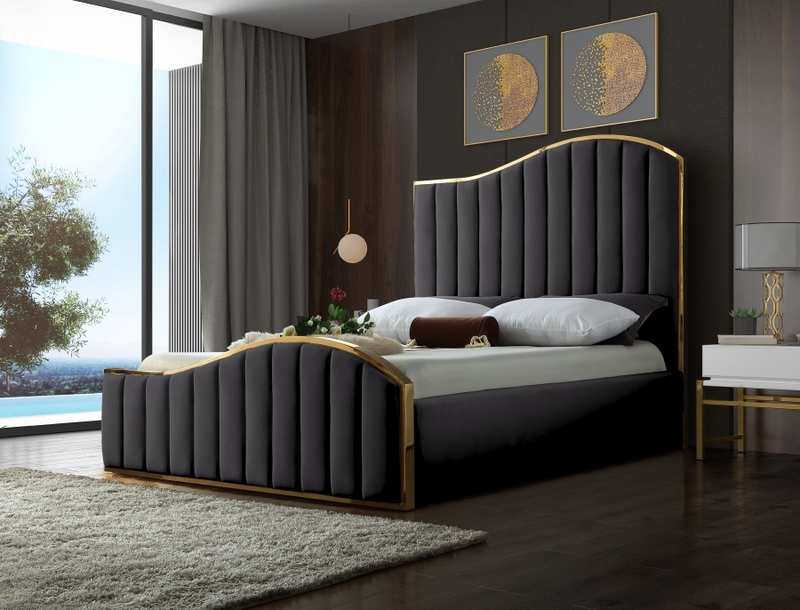 Featuring a stunning polished gold metal frame that supports pink velvet upholstery on the headboard and footboard with channel tufting for texture, this sleek bed not only commands your attention, it demands it. The wavy design of the headboard and footboard evokes a dramatic image reminiscent of a boat rolling on the waves at sea, promising to lull you to sleep and reward you with a night of pleasant dreams.